Let’s be friends. ▸ We post inspirational stories every day on our Facebook page. 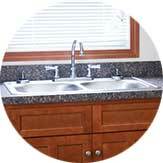 Our Homeowner Maintenance Education training is now multi-award winning! Through a partnership with the City of Canton, city residents can learn basic yet vital home maintenance skills during this one day course—for FREE. Strength. Stability. Self-reliance. With your help, families can build a strong foundation that opens doors of opportunity for generations to come. When you invest your time with Habitat for Humanity, you’re helping a local family discover strength, stability, and self-reliance. No experience required. Every gift creates the opportunity to build a better life. When you give a tax deductible gift of any size, you're building the foundation of a family's future. Homes built and preserved in east central Ohio so far. We believe in a future that’s built on a strong foundation. In 1988, we began working locally with a small group of dedicated volunteers and their desire to eliminate poverty housing in our community. Today, we have served over 500 families and have changed the face of many neighborhoods. Through the years, we have maintained our unrelenting determination to offer families strength and stability by offering a hand up, not a hand out – but none of what has been accomplished so far would have been possible without the support we have received from our generous donors and devoted volunteers. We are so thankful for every dollar donated, every ReStore donation and purchase, and every hour of time given. As we look to the future, we remain excited about the opportunity to be a blessing to future homeowners, to work tirelessly with volunteers, and to continue transforming the communities of East Central Ohio. IN THIS VIDEO: Katie built her home with Habitat for Humanity East Central Ohio to offer her children the stability they need as they grow and develop. She’s proud of her accomplishment, and we are, too. We tithe 10% of each unrestricted donation to building houses in Bangladesh, Poland, and Lesotho – in southern Africa. In 2006, we were honored to become only the seventh Habitat ministry out of 1,700 to reach the $1 million mark in tithing. In 2016, we were named the top tithing affiliate in Ohio. Since Habitat for Humanity ReStore opened in Canton in 2005, thousands and thousands of tons of reusable materials have been diverted from landfills through merchandise sales and recycling. At ReStore, every donation and purchase helps us build and renovate homes with hard-working east central Ohio families and children. 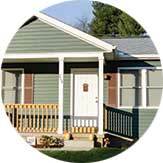 Habitat for Humanity East Central Ohio is a leader among U.S. Habitat for Humanity ministries. We’ve been named the #1 affiliate in Ohio, and since 1995, we’ve remained in the top thirty Habitat for Humanity ministries in the nation. We take these honors seriously and work tirelessly toward our ministry’s mission. It takes a lot of people, money, and prayer to build a Habitat for Humanity home. With your support, more East Central Ohio families and children can build a bright future on the strong foundation of decent, affordable housing. IN THIS PHOTO: Courtney Brown, Family Partnership Director (Left), Beth Lechner, Executive Director (Center), and Habitat for Humanity CEO Jonathan Reckford (Right). We’re developing new and innovative ways to build strength and stability. 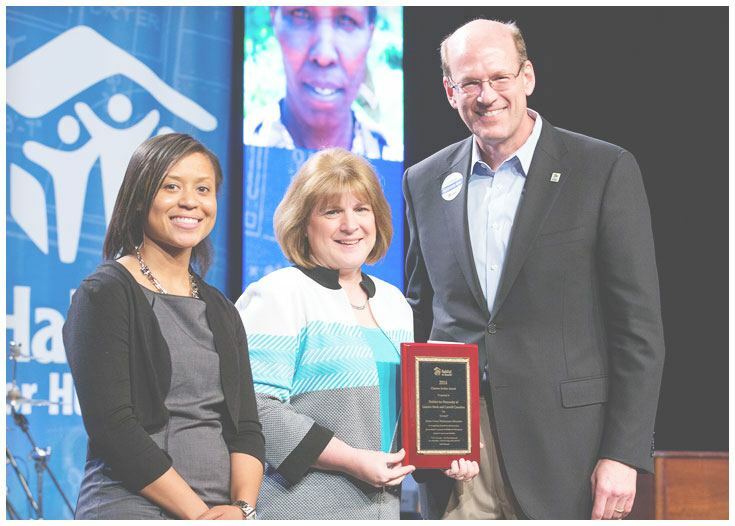 Habitat for Humanity East Central Ohio received national recognition as Habitat for Humanity International presented us with the Clarence E. Jordan Award, naming us Pioneers of Excellence for the creativity and innovation of our Homeowner Maintenance Education (HOME) program. 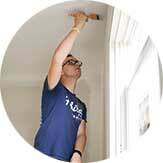 HOME teaches partner families the basic home maintenance and repair skills they will need once they purchase their own home. This instruction is made possible through tangible, hands-on learning with five life-sized modules at our Raff Road campus. We are grateful for this special recognition and remain challenged and humbled by the opportunity to continue forging new ways of investing in decent, affordable shelter for all people. We’re proud to be your favorite nonprofit and your favorite thrift store, Canton, Ohio! Readers of The Canton Repository have spoken, naming Habitat for Humanity the Best Nonprofit and Habitat for Humanity ReStore the Best Thrift Store for three years in a row! If you volunteer, donate, shop at ReStore, pray for us, or spread the word, thank you. This house will give me a new level of responsibility and setting goals for my children to reach – and having the ability to call the home mine! Habitat for Humanity has been such a meaningful organization in my life- teaching me about how to truly be a neighbor to others. 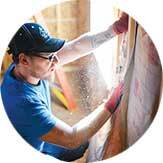 Habitat taught me how to collaborate and how to drywall, as well as how to watch a community rise up. 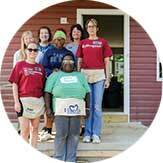 As I reflect on my retirement, I realize one of the best parts about it is that I have had the opportunity to volunteer at Habitat. It’s a great chance for me to give back to God just a small part of all that He has given me over my life. I continue to enjoy each and every Habitat day. And I always learn something new! We are most excited about having a house for our kids to grow up in and being able to say this is our home, we built this from the ground up. I love the idea of freedom and having something I can call mine for my family. I hope that it will be the start to a great future and my life coming together for the better. 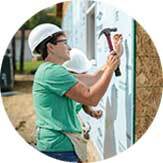 Habitat is partnership – partnership between Habitat and families needing homes; partnership between Habitat and volunteers; partnership between volunteers and families; partnership among the volunteers themselves. It’s such an honor to have been able to go through this program. The friends we have made and the wonderful people we have met have been a blessing. You can help a family discover the strength, stability, and self-reliance that comes with owning a decent and affordable home. Whether you volunteer or donate, when you partner with Habitat for Humanity you’re building a strong foundation for a brighter tomorrow.